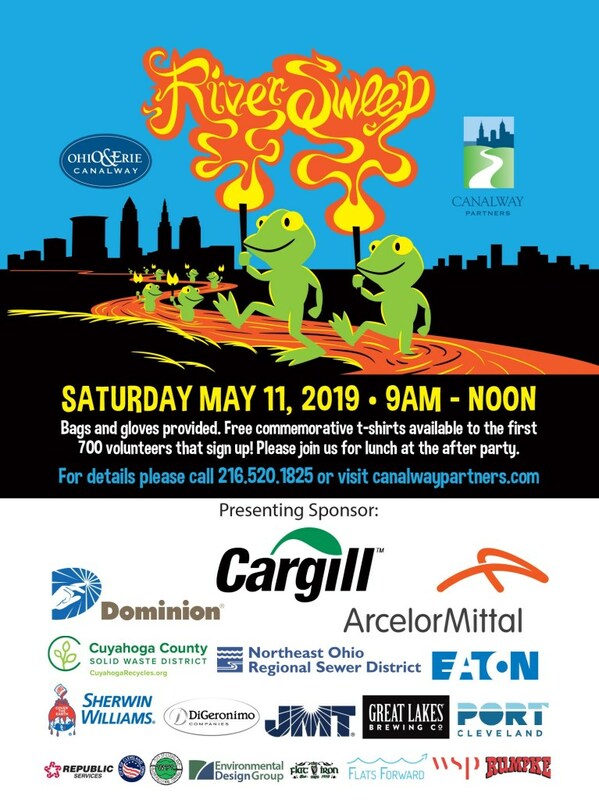 Join Canalway Partners and Slavic Village Development on Saturday, May 11, 2019, from 9 a.m. to 12 p.m. for Riversweep, Northeast Ohio’s clean-up of the Cuyahoga River Corridor. Morgana Bluffs Nature Preserve and Mill Creek are two areas that are in or near Slavic Village that could use your assistance. Come help clean and bring awareness to areas that will one day become a future trail and/or park. Volunteers will receive a free t-shirt, gloves, and bags. Slavic Village: Morgana Bluffs Nature Preserve: Meet at Mound Elementary School (5935 Ackley Rd, Cleveland 44105) The school is directly adjacent to Nature Preserve. Mill Creek: Meet at Brilla House (8411 Webb Terrace) located at the intersection of Turney, Broadway, and Warner. Be sure to print and bring your waiver! Children under the age of 16 must have the waiver signed by an adult.